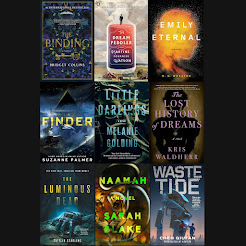 This is the forty-third in a series of updates about formerly featured Debut Author Challenge authors and their 2015 works published since the last update and any upcoming works for 2016. The year in parentheses after the author's name is the year she/he was featured in the Debut Author Challenge. 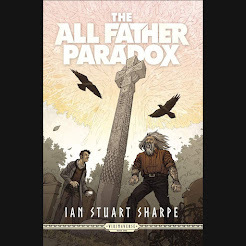 This Update includes a cover that has recently been revealed (by the author, publisher, etc.). 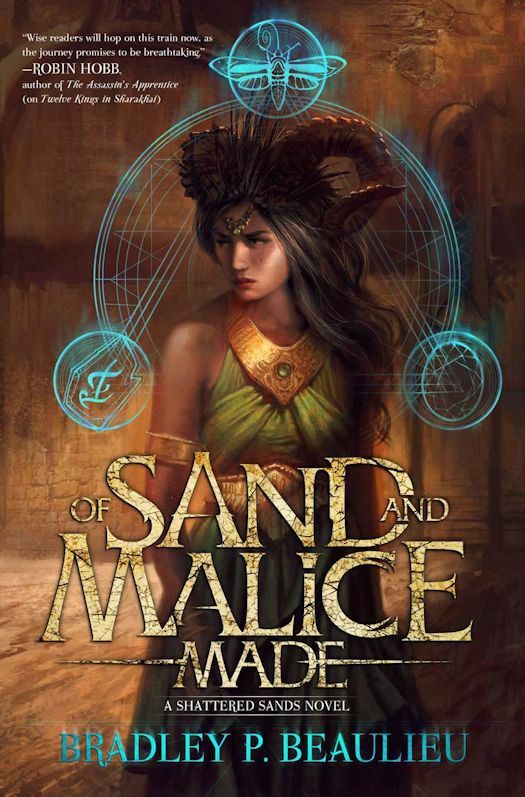 Of Sand and Malice Made is a prequel and companion to Twelve Kings in Sharakhai. Çeda, the heroine of the widely anticipated, just-released novel Twelve Kings in Sharakhai, is the youngest pit fighter in the history of the great desert city of Sharakhai. In this prequel, she has already made her name in the arena as the fearsome, undefeated White Wolf; none but her closest friends and allies know her true identity. But this all changes when she crosses the path of Rümayesh, an ehrekh, a sadistic creature forged long ago by the god of chaos. The ehrekh are usually desert dwellers, but this one lurks in the dark corners of Sharakhai, toying with and preying on humans. As Rümayesh works to unmask the White Wolf and claim Çeda for her own, Çeda’s struggle becomes a battle for her very soul. The Split Words by Emma Newman - New Covers!